We show all the Stressless Recliners and Sofas in our showroom to test drive and find the one that fits you best. With over 50 leather colors and fabric colors and 7 wood finishes to choose from, we do not stock any of the recliners or sofas but they are available, depending on the model and color, either 1 month or 3 to 4 months delivery for recliners and 7 weeks or 3 to 4 months delivery for sofas. Shown as a lowback sofa and highback loveseat. Available as a sectional, chair, loveseat or sofa in either highback or lowback. Shown as a loveseat highback and a lowback sofa with the Kensington recliner. Shown as a sectional chaise, loveseat, corner, loveseat with optional headrests to create a highback. 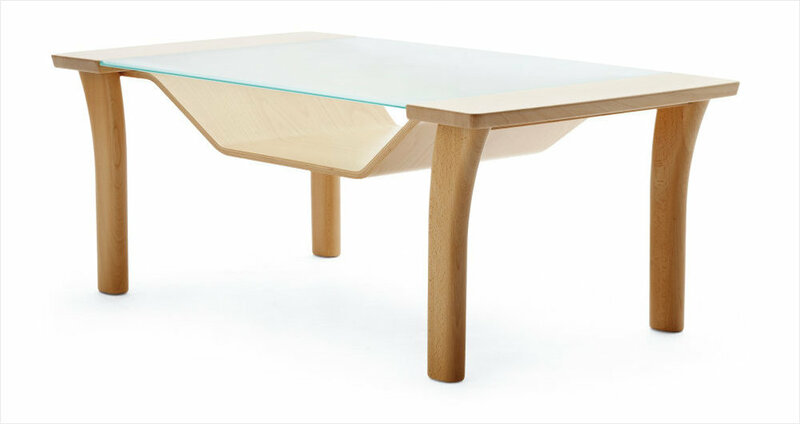 Also shown is the large soft ottoman and glass top slide in coffee table. Available as a sectional, chaise, chair, loveseat or sofa in either highback or lowback. Shown as as sofa and loveseat. Available as a sectional, chaise, chair, loveseat or sofa. Optional headrest to make into highback. Shown as a sofa and a loveseat with chaise. Available as a sectional, chair, loveseat, sofa or chaise with or without arms. Shown as a theater set up with a chair, sector table, loveseat, sector table and chair. All in highback. 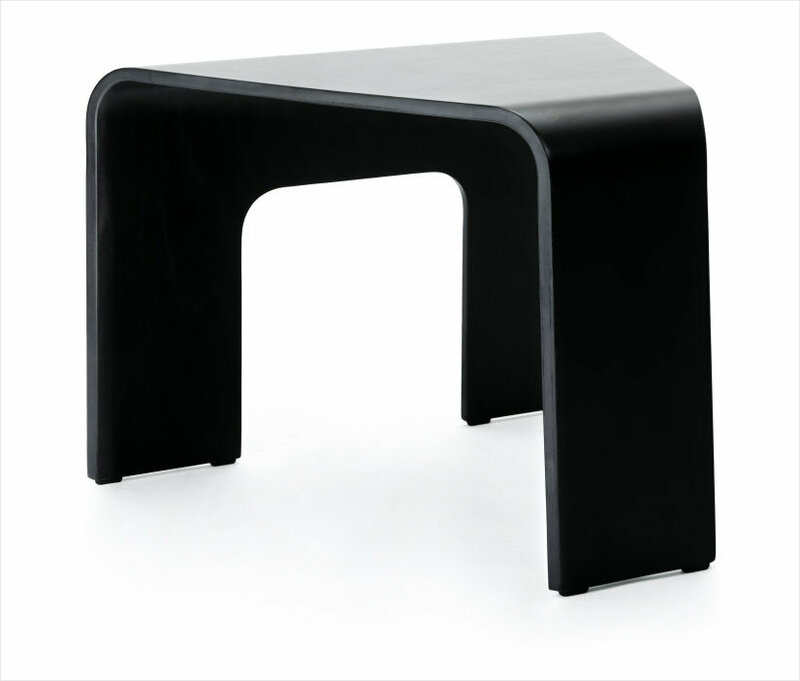 Also shown is the Duo ottoman table. Shown as a loveseat and sofa. Available as a chair, loveseat or sofa. Shown as a sofa 3-seater and 4-seater. Also show the Reno recliner and windsor table. Available as a 3-seat or 4-seat sofa, with or without wood trim. Shown as a highback sofa. Available as a sectional, chair, loveseat, or sofa in either highback or lowback. Shown in highback chairs and and loveseat. Also shown is the Double Ottoman. Available as a sectional, chair, loveseat or sofa with either highback or lowback. 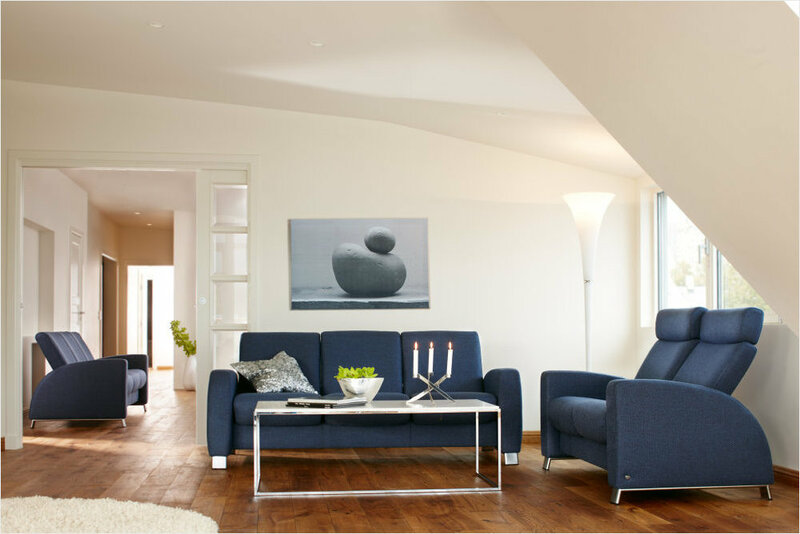 Shown as a highback chair and sofa and a lowback loveseat. Available in a chair, loveseat or sofa, in either highback or lowback. 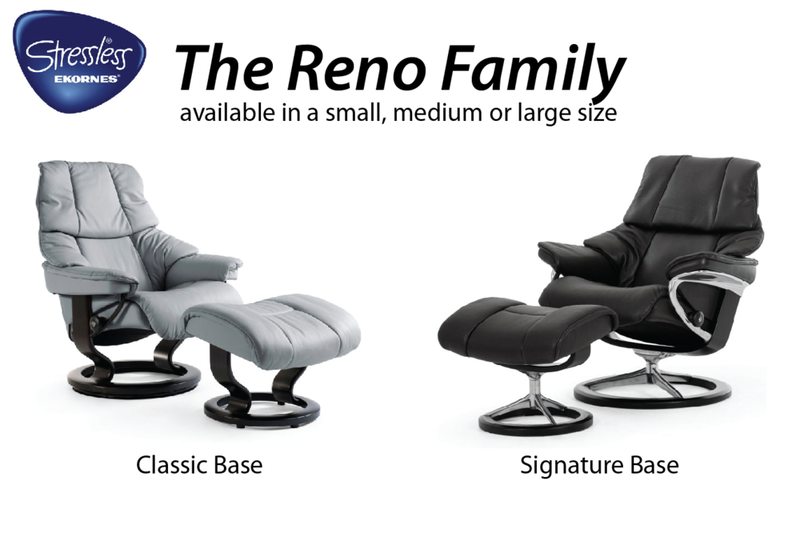 Available in all the Stressless colors and wood finishes. On casters with storage inside. Use as either a ottoman or coffee table. 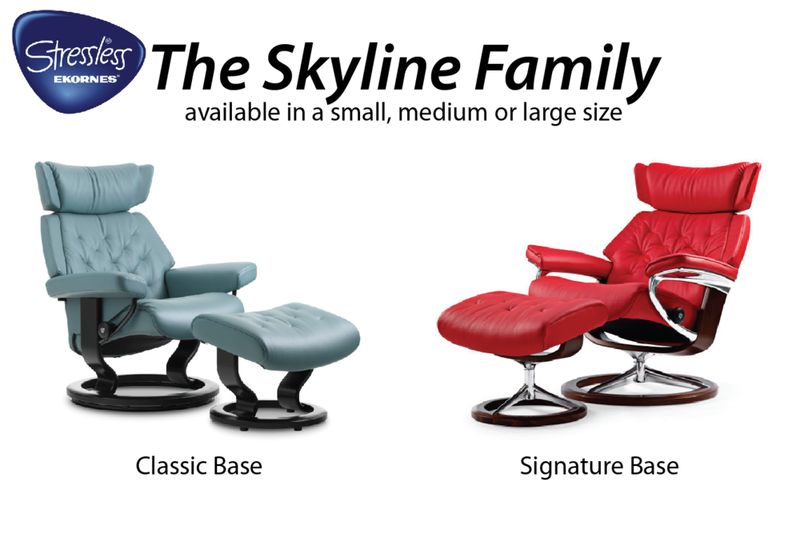 Available in all the Stressless colors and wood finishes. On casters. Available in all 7 Stressless wood finishes. Available in all 7 Stressless wood finishes to match your recliner. Available in all 7 Stressless wood finishes. Can attach to the Stressless Arion, Space, Wave and E-200 sofas. 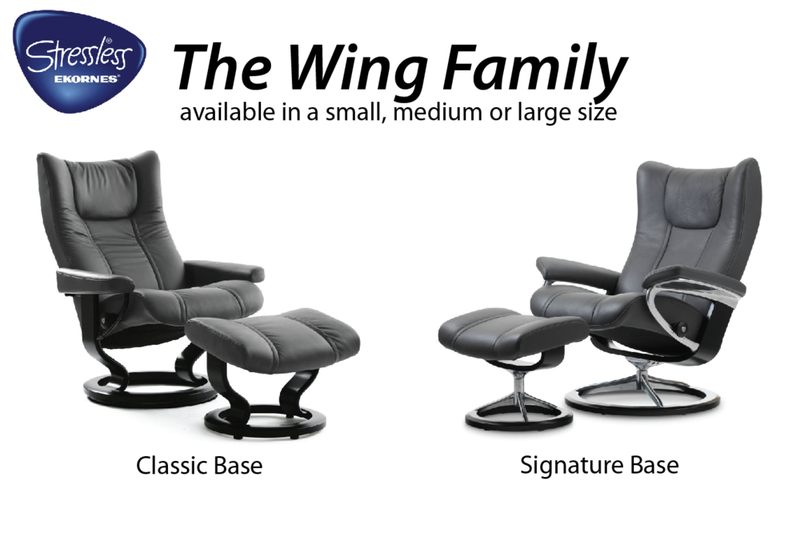 Available in all Stressless leathers and fabrics. On casters and storage inside.